OK Dekoni Fans, Here’s the latest frequency graph of the all-new FOCAL ear pads we just released. I have these tested on an Elear headphone, just so you know. You’ll notice, right off the bat, the differences are all very subtle for the most part as you can see from the below graph showing all the 4 variants we make PLUS the stock. The biggest change comes in the higher registers which I’ll get to shortly. First up is the Stock pad vs the Dekoni ELVL. These 2 are very close in frequency response up to 1khz and then you see a very slight rise in the 1.5 Khz territory and a 2db rise in the 8Khz range. Notice also a slight offset of the 5khz peak to the lower end at around 4.5khz. Finally, the ELVL pad seems to take a bit off the top peak that might make the headphone sound darker and a little more closed, depending on what you are listening to. I like this pad a lot with my Elears. They are a super comfy fit and I can wear them a long time without any fatigue. Coming in next is the Dekoni Audio Hybrid Ear Pad. The hybrid pad has Sheepskin on the outside, Velour on the Face of the pad, and fenestrated Sheepskin on the inside. As the inside “room” – the inner wall- of this pad is not the thin alcantra of the stock it is going to natural not absorb as much material so there’s a +1db rise in the overall level from this model. This leads to a more balanced sound when you look at the graph up until about 10khz where we get a dip in the high frequencies that formed a pretty large peak in the stock pad combo. I liken this to taking a bit of the air off the top and is fairly subtle for most material that has been close miced. You may notice more of a difference if you are listening to classical or something with a lot of room sound. The Sheepskin variant is one that is very close to stock in a lot of respects but also ads some overall level to the headphone at about +1db. It maintains the air on the top of this headphone and maintains that stretching down to about 8khz. A little added body between 600hz to 1000hz rounds out this model as a nice addition to the headphone. It manages to warm it up while maintaining the open sound this headphone is known for. Below we have the Fenestrated Sheepskin model. This is the one everyone has been asking for as they love the pads Focal makes for the Utopia on the Elear. I think I prefer this pad as well for the Elear as it creates a smoother transition throughout and little more presence overall. The low end engagement is very similar to stock with a rise coming up on 1Khz and a smoother rise into 5Khz than stock. You’ll just have to see for yourself! That does it for this edition of “What-the-hell-are-these-pads-going-to-do-to-my-headphones” for today. I think we made another great ear pad for the the Focal Line up in comfort and sound. I try to do these so we can get away from a lot of the subjective-ness that rules us though everyone will always hear things differently so one’s opinion is not to be discounted. I think this gives a good baseline for the Ear pad and I can’t wait to hear what others think about it as well! 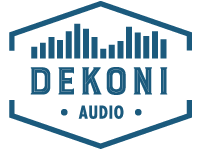 As always, I can be reached at tal@dekoniaudio.com if you want to ask some questions or badger me about whatever’s on your mind! Are there going to be Utopia measurements? Please let the Utopes be measured with the pads also. I might be interested. Currently we do not have the measurements for Utopia but I will work on it. Would love to see these pads measured against the Massdrop x Focal Elex. I’d also love to see the measurements on the Massdrop x Focal Elex as well. Just got my Elex today and while they sound amazing with the stock pads, I have had great experiences with Dekoni pads for other Massdrop headphones. As the Elex was tuned differently than the Elear/Clear, It would definitely be helpful to get Elex graphs before the next pad drop goes live! Please do a frequency response graph for the Elex!!! I’d love to see a frequency response graph on the Elex! Please do a frequency response graph for the Clear! !